Each year, Laserfiche recognizes organizations that use Laserfiche enterprise content management (ECM) to improve productivity, innovate processes and achieve exceptional business results. 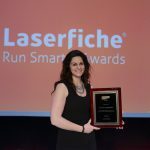 This year, Laserfiche is pleased to announce that six organizations from across the U.S. have won Laserfiche Run Smarter® Awards for enterprise transformation. 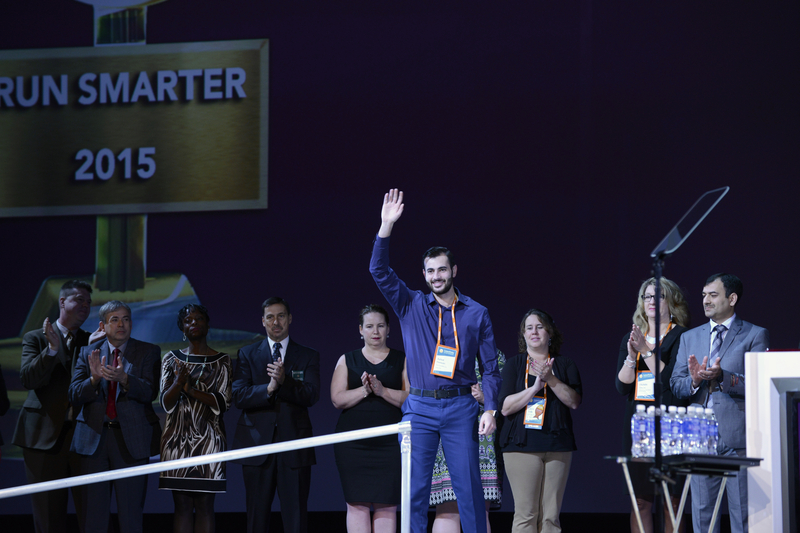 Heifer International, Little Rock, AR—Heifer International, a 70-year-old global organization with programs in over 30 countries, made technology transformation a business imperative in its mission to end world hunger and poverty. 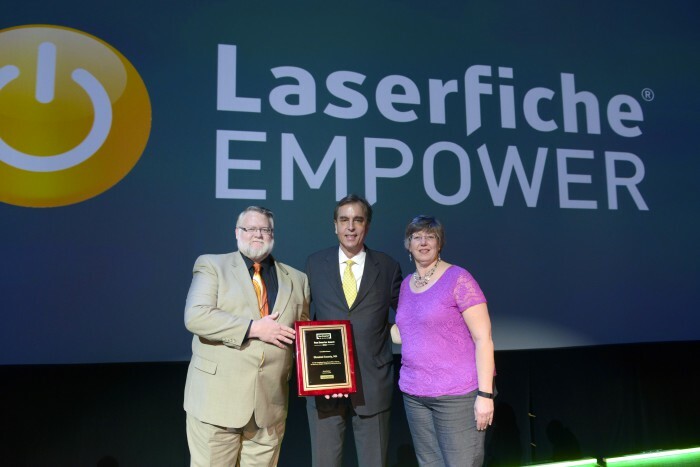 Laserfiche provides Heifer with a centralized document repository, making it quick and easy for staff to access information from disparate locations. 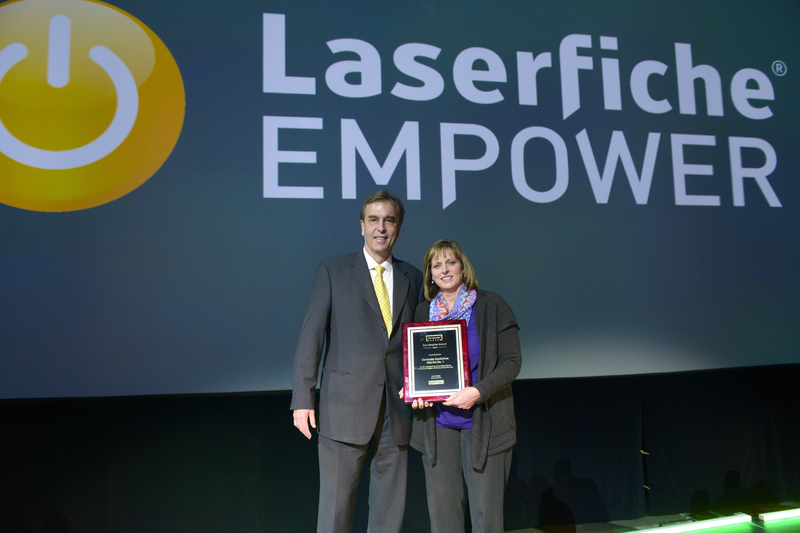 Moving forward, Laserfiche’s contract management capabilities will allow Heifer to engage more rapidly with its business partners to help impoverished families in remote areas of developing countries. Texas A&M University’s Dwight Look College of Engineering, College Station, TX—The Texas A&M University System selected Laserfiche to enhance the ability to share documents and workflows across the university system’s 1,000+ departments and units, and to reduce costs by eliminating redundant hardware and software systems. Recently, Texas A&M’s Dwight Look College of Engineering used Laserfiche to automate the employee onboarding process, saving more than 2,000 hours a year. 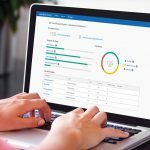 First Foundation Bank, Irvine, CA—First Foundation implemented Laserfiche to enable secure document sharing across 13 branch locations in three states. 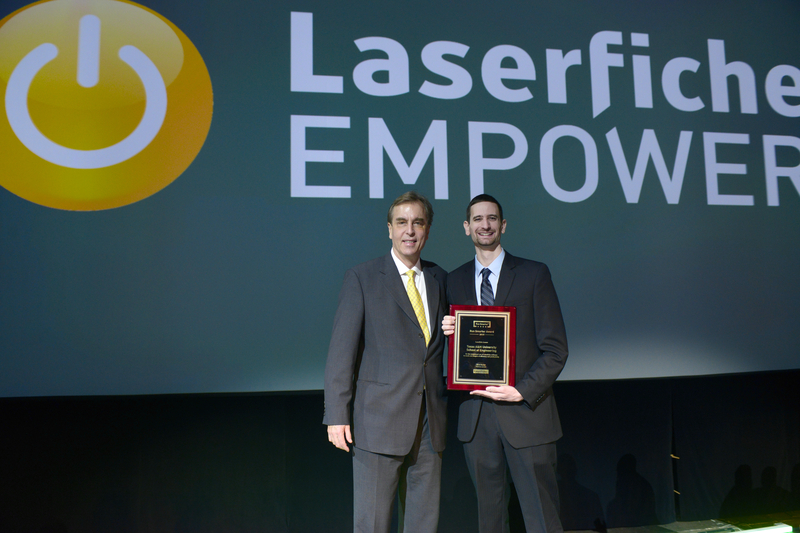 Since then, it has automated processes across the enterprise, including wire transfers, and integrated Laserfiche with core systems like Fiserv’s Precision and Microsoft Dynamics CRM. Sanitation District #1, Fort Wright, KY—After paying a large fine due to a court ruling that Kentucky’s Sanitation District #1 (SD1) violated the Open Records Act, the utility knew it needed to implement Laserfiche to get serious about compliance. Department-specific workflow creation and training has been the key to SD1’s success from both an efficiency and a compliance standpoint. Frisco Independent School District, Frisco, TX—As the fastest-growing school district in Texas, Frisco Independent School District needed to optimize the way it processes new student paperwork. 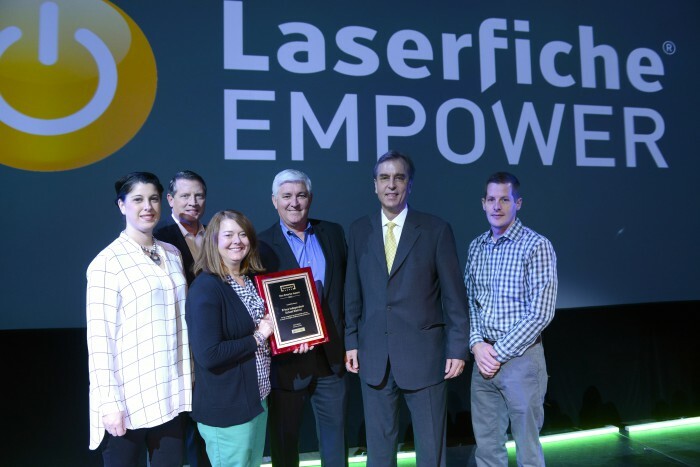 Using Laserfiche, Frisco handles 25% more activity with the same level of staffing, freeing teachers from pushing paper and giving them more time to make a difference in students’ lives. Olmsted County, MN—Olmsted County needed to transform operations quickly to handle a dramatic increase in medical assistance caseloads due to the passage of the Affordable Care Act (ACA). Laserfiche enabled the county to improve case worker productivity by 20%, eliminating the need to hire nine additional staff members. 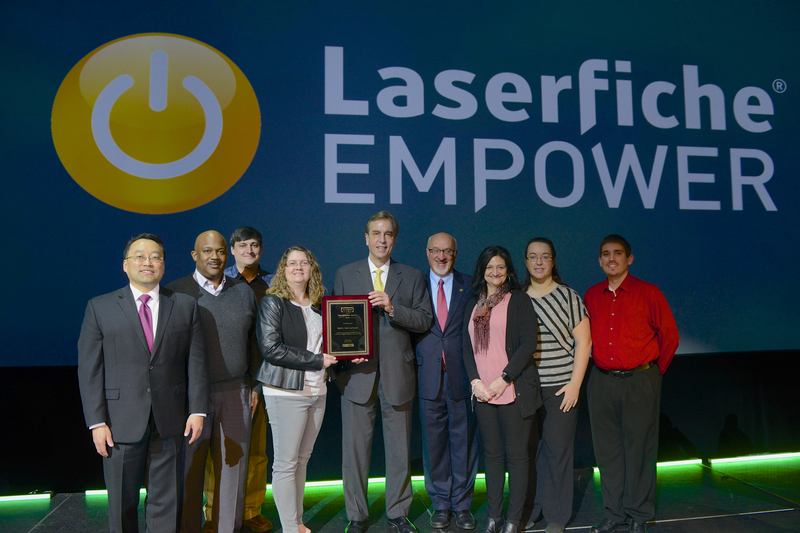 The county projects that using Laserfiche to facilitate business processes across the enterprise will lead to annual savings of $10 million.